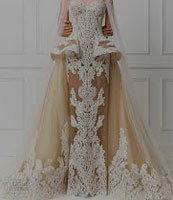 Women Wedding Dresses- Dance Around in Intriguing Outfits! 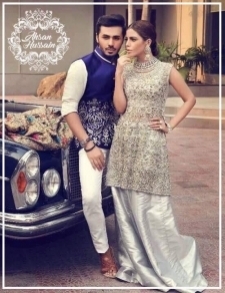 Weddings are the much-awaited events in Pakistan. People wait years to celebrate their loved ones’ wedding the way they like. Since it’s a huge family and friends gathering, it is of utmost importance for women to dress up elegantly. 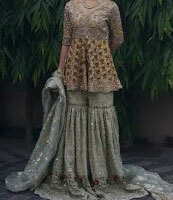 Wedding in Pakistan is a traditional event and ladies love to dress up in a cultural way. 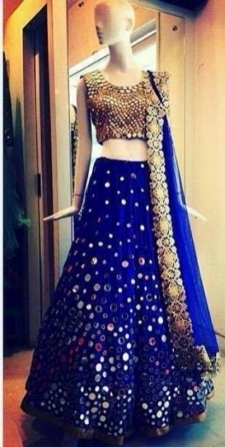 Lehenga, sharara, and gharara are the most highly demanding formal outfits, especially if it’s the wedding of someone close. 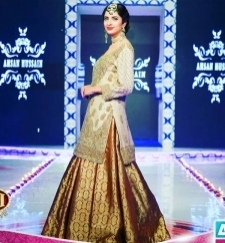 Have a surprise of jaw-droppingly reasonable prices that awaits you in the wedding dresses section on affordable.pk. 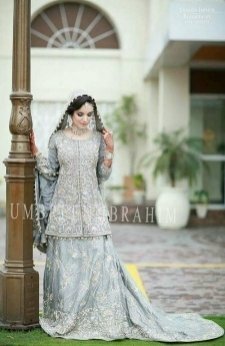 There is a wide list of traditional women’s wedding wears; therefore, it is important to do a categorical division to save your time of searching and buying. Every girl wishes to have a red carpet entrance on her wedding day. 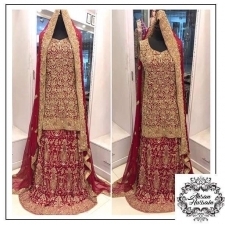 Not only you can find lehenga for yourself as a guest, the lehenga section also has some amazing bridal dresses that you must look at because you won’t find exquisitely designed dresses at such lovely prices. When you neither want to wear a traditional cloth nor a Western one, go for the middle category i.e. gown. 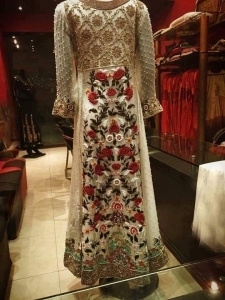 Gowned dresses give you a graceful look to your personality so buy one for the upcoming ceremony at a cheap price from affordable.pk. Sarries are Pakistani women’s jewel. You must have seen your grandmoms and moms in awe with sarries because they are so beautiful and chic. It makes your figure and looks stand out in a crowd so it’s something you must try at a wedding. 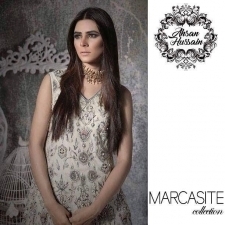 Find stunning designer sarrie collection on affordable.pk at reasonable prices. 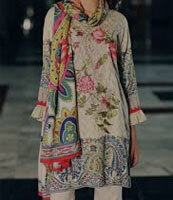 Kameez and kurta are constants and the rest of the dresses are variable. They have been in fashion for decades and will be forever. 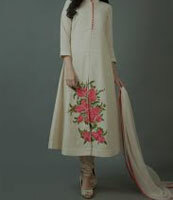 So, having a stylish formal kurta for a wedding is a must-have in your closet for the next wedding. 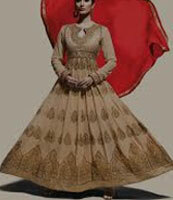 Just like lehenga, shararas are also highly praised and loved due to the traditional value they hold in our culture. However, it is important to upgrade designs and class with time and this is what affordable.pk team has done for you. Kaamdaar shirts are even preferred as bridal wears nowadays. 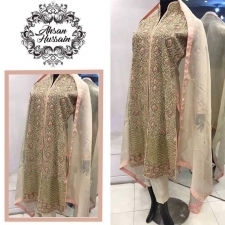 The designers in Pakistan are keenly working on long kamdaar and tail shirts as they are highly loved by ladies as wedding wears. These shirts are exquisitely embroidered and available at reasonable prices. You have the power to make everyone drool over you with your attire. 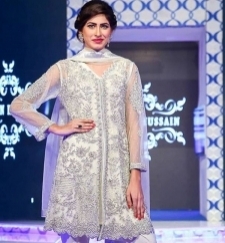 Why not go for the traditional and classy gharara available on affordable.pk? The design, quality, and price are guaranteed just like on the rest on the products. 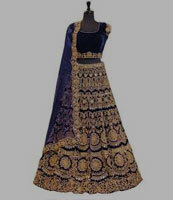 Frocks are also one of the wedding dresses that women are following since long. Since the affordable.pk team is the fashion-oriented online store, it updates the designs of traditional clothes with time. Therefore, frocks designs are also up-to-date so you must try buying one. 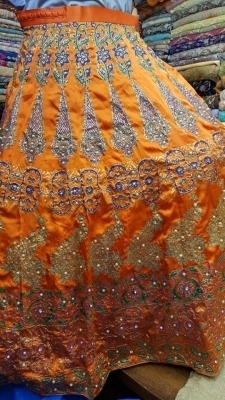 Pelpums are among a few western clothes that women like to wear to weddings in Pakistan. The reason is they give a class to your personality. Even though they are usually worn casually, the affordable.pk team has brought you fancy and embroidered peplum at reasonable prices. Maxiees are just like frocks with longer lengths that give an appealing red carpet entrance when they float elegantly behind you. 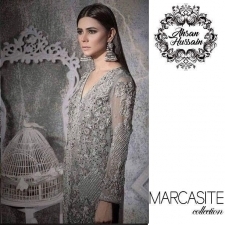 Buy fanciest wedding maxiees from affordable.pk at cheapest possible price.